Azure and Hybrid IT. Discovered. Azure enables you to build and run highly available applications without focusing on the infrastructure. It provides automatic OS and service patching, built in network load balancing and resiliency to hardware failure, and supports a deployment model that enables you to upgrade your applications without downtime. Open and Flexible Cloud. Without Downtime. Imaginet's Azure Consulting Services team ensures our customers always receive the most value out of their cloud investment and avoid costly outages. Start planning with Imaginet today.. The Imaginet Azure Quickstart utilizes our award winning best practices and adoption strategies to guide organizations through the process of understanding the full potential and business impact of Microsoft Azure. We provide a framework to guide your organization in identifying candidate software applications for migration to Microsoft Azure. 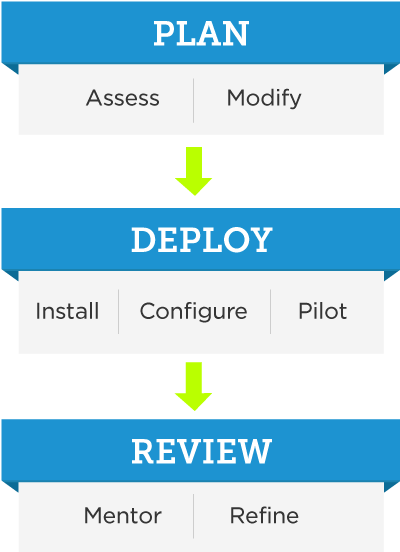 The Azure Quickstart is a combination of the a Discovery Phase and a Pilot Phase. The discovery phase provides your organization with education on Microsoft’s Azure offering and a methodology, based on industry best practices, to guide you through candidate selection. Organizational business drivers and Azure capabilities are combined to form a framework that can be used to evaluate your current software applications and determine which are best suited to be migrated to Azure. The pilot phase enables stakeholders to assess how the technology functions in your organization and the process that will be required to migrate additional applications to the cloud. Discovery Workshop – Imaginet’s Azure Consulting Services Professionals will facilitate the Discovery Workshop with key business and IT stakeholders to guide you through understanding the capabilities of Microsoft Azure and the potential opportunities to drive business results for your organization. The workshop showcases Azure’s capabilities and provides the foundational information regarding how it will benefit your specific business requirements. Our experts will discuss the possibilities, business implications, and associated risks of a public cloud solution. You will further understand the potential for using the cloud for business solutions and as part of a portfolio strategy for your business. Imaginet will manage the end-to-end migration of your selected software application from on premise to Microsoft Azure. Imaginet leverages our experience working with Microsoft Azure as well as Microsoft Best Practices to ensure that your application is architected correctly for the cloud and the transition of your users is as seamless as possible. Plan – Based upon the information gathered during the Discovery phase, Imaginet’s Azure Professionals will modify the architecture of the selected software application for the Azure environment. A full test plan will be implemented using Microsoft Azure development environment to ensure cloud compatibility. Deploy – Imaginet will work with your IT team to provision an Azure environment for your organization and deploy the software application into the public cloud. The proper number of instances and roles will be provisioned to ensure your application meets your business requirements. Review – Imaginet will review the Azure hosted software application with your organization and modify as necessary to further optimize business value. Training and Build documentation is delivered to your IT team to enable ongoing support of the application. Finally, other potential Azure candidates are reviewed and an Azure roadmap is created for the organization. 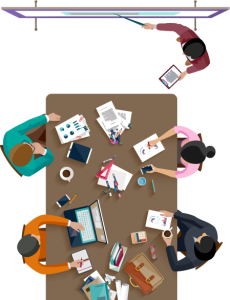 When planning the success of your next cloud or Hybrid initiative or project, you never want to do it alone. This is where the Imaginet’s Azure Consulting Services team come in. We have helped over 1100 customers around the globe with ALL their IT and innovation needs—and we’re ready to help you! Azure and has real world experience with this tool. We understand both the technical details of Azure and the impact across all your teams and organization. Learn the skills you need for your Azure environment with no lag between the learning and the implementation of knowledge. Our consultants can focus on those topics that are most relevant to your organization, team, and solution rather than broad coverage of topics that may not be relevant. Imaginet is a Microsoft Gold Partner in Cloud Platform, Microsoft’s highest competency level. Keep up with the latest on Microsoft Azure, including updates, rumors, tips and tricks, and more. Read what's new to stay in-the-know. Azure Consulting Services offered worldwide.